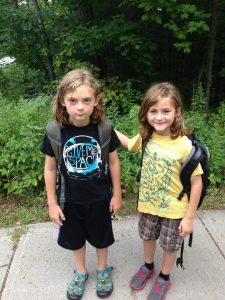 Want to learn more about Summer Camp options in Burlington? 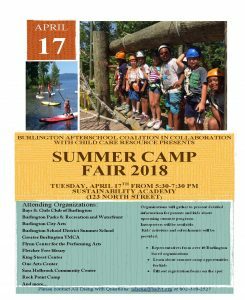 The Vermont Afterschool Coalition invites you to attend the 5th annual, free Summer Camp Fair on Tuesday, April 17th, from 5:30 to 7:30 PM at the Sustainability Academy. 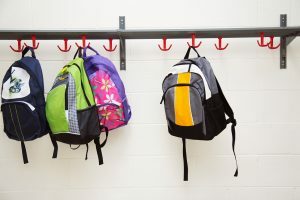 Families can visit with different summer camp providers. 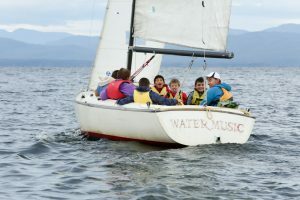 Some Summer Camps will have registration available, others will hand out information and talk about the enrollment process. 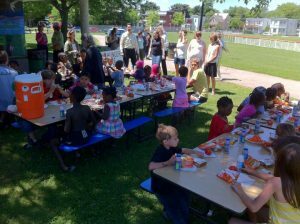 Interpreters will be available and BSD’s After School Program will provide kids activities and refreshments! This free event is geared toward families with children in grades K-5, but everyone is welcome to attend. “Thank you, Burlington, for your continued support!” says Superintendent Obeng. On March 6th, 2018, Town Meeting Day, Burlington voters overwhelmingly approved Burlington School District’s proposed 2018-2019 budget. The budget passed with 72% of all votes cast in favor of its passage! Continuing in the spirit of inclusive curriculum, and recognizing that Black History does not end when March begins, an inclusive Burlington School District-wide event will take place at the Burlington High School on March 9, 2018 at 6 PM to continue – not conclude – the community’s momentum in expanding dialogues, shifting perspectives, and boldly addressing present day injustices. Join our students and staff for an evening of conversation, education and reflection. Featuring music from a Sustainability Academy, CP Smith, and Integrated Arts Academy combined choir, a conversation from the Social Justice Union, and the dance team at BHS. Attendees can also watch as the team from Hunt Middle School participates in a Restorative Practices Circle, or visit with a variety of our community partners in attendance. Child care and refreshments will be provided. Get more information or let others know that you’re coming!